I run the social program at SparkPost and Message Systems. One thing I know for sure is that your employees are your best fans. They are your best evangelists because they know the product and service better than any anyone or any agency you’d think of hiring. 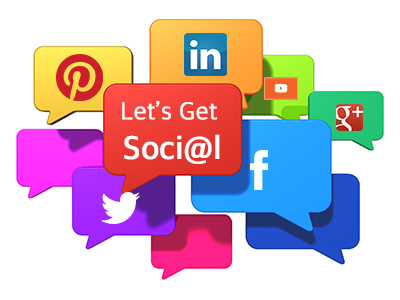 So how do you get them to share your message on social? Through email of course. 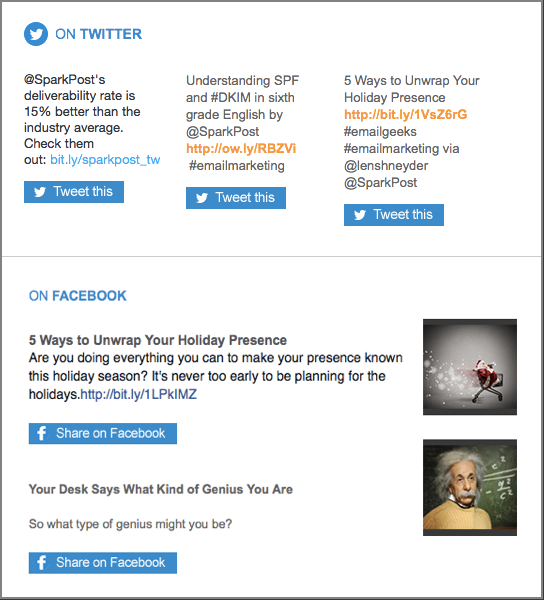 In this post I’ll cover why and how to make your emails more social. Sales departments have been sending out Sales Enablement emails for years. They know that the “fortune is in the follow-up” and they also know that if people have the right tools they can sell almost anything. However, enablement emails have taken on a new twist with social. No longer do folks want to copy and paste your social copy into their own Twitter or Facebook profiles to share. It’s too cumbersome, especially when they need to rewrite or edit the copy because your copy exceeds the social network’s character limit. What are employee social enablement emails? They are weekly emails you send out internally to a department or function with a summary of what’s going on for the week and/or suggested social copy for internal peeps to share online in their personal social networks. How do you write one? A best practice in writing enablement emails is to send them consistently (weekly, bi-weekly, or monthly and preferably on the same day of the week), give a short summary of what you’re including, provide suggested social copy segmented out by channel, and make sure the copy gives them the ability to share that social copy within one click. (Keep reading, more on how to actually do this below). Make it compelling. Give your employees a reason to want to share content by mixing in corporate content with interesting content they might want to share. Consider hosting a monthly contest or a leaderboard recognizing top sharers from the previous weeks or month. Make it fun! How to make it easy by giving them the ability to share in one click? Thankfully you don’t need to be a developer to do this. When you segment out your copy by channel, Twitter, Facebook, Google+, LinkedIn, Pinterest, etc, it becomes easy to utilize tools to share within one click. 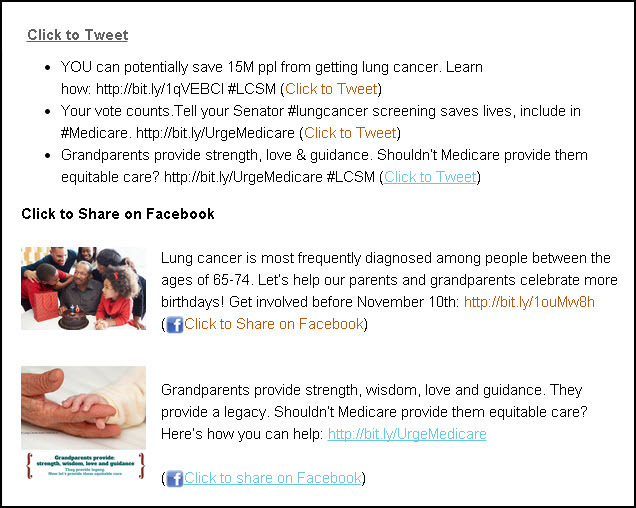 For Twitter, you can use the well-established tool Click to Tweet. For LinkedIn, you can download the LinkedIn Sharing Bookmarklet to your browser toolbar. You could also try out this ShareLinkGenerator tool (I have only fiddled with this, so not sure how great it is for all of the social networks, but it includes: Facebook, Twitter, LinkedIn, Google+, and Pinterest). If you don’t want to take the time out on comprising an email program like this one, then think about investing in a tool that does this for you such as TrapIt, GaggleAmp, Smarpshare, etc. There are a lot of tools out there that make it easy for everyone to get social and still allow you to control the content that is going out on the networks.